Bricen “Hey Man” Heymen just wanted to superjam. 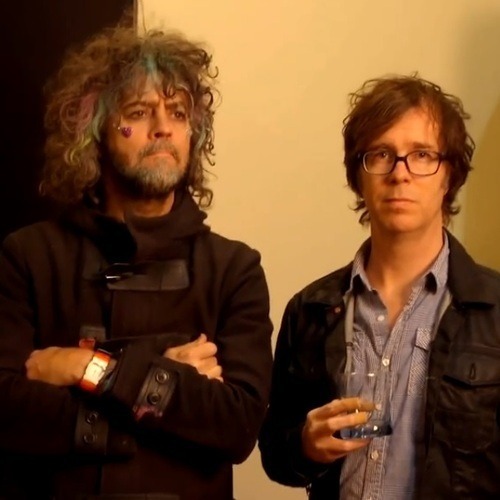 That was the premise of Bonnaroo’s whacky webcast last night, a series of short sketch comedies thread together through Bricen’s quest to the fest – and performances by The Flaming Lips with Ben Folds. Heymen, played by Saturday Night Live’s Taran Killam, wasn’t skilled on an instrument or as a singer. “Hey Man”- dressed as if a member of The Lumineers – did nothing more musical than shout “hey” yet he yearned to rock the ‘Roo. Along the way towards his goal he was shrunken by a shrink ray, attempted to do the robot (dance) better than an actual robot, received advice from baseball hall of famer Wade Boggs and failed an audition with Wayne Coyne and Ben Folds for their superjam band. Yes, The Bonnaroo Lineup Announcement Megathon – or BLAM! – was just as cartoony as this description makes it out to be. Not just for these silly bits, but also the actor’s exaggerated expressions, the energetic cinematography, its use of bright colors in dark environments and the Lips’ looney tunes. If nothing else it was surely the most elaborate music festival line-up announcement… ever! Keep in mind this wasn’t just a webcast – there were BLAM! simulcast parties hosted by record shops all over the country. Before BLAM! proper started there were two hours of bands playing covers from past Bonnaroo fests in the pre-show, My Morning Jacket and Phish taking on Velvet Underground classics for instance. It began at 7pm EST with Michael Winslow (aka Police Academy’s “Man of 10,000 Sound Effects”) dressed as Jimi Hendrix and imitating the Woodstock version of “The Star-Spangled Banner” with his voice filtered through a distorted amp. Other highlights included Tenacious D’s acoustic medley of tunes from The Who’s Tommy, Kings of Leon rocking the Pixies “Where is My Mind?” and fun. living up to their name with the Stones’ “You Can’t Always Get What You Want.” As this rarely seen footage from ‘Roo’s vaults was unearthed “Bonnaroo Alerts” periodically flashed on the screen confirming artists booked for this year’s fest: Seasick Steve, Amos Lee, Umphrey’s McGee, Goat, Omar Souleyman, White Denim, etc. Towards the end of the BLAM! pre-show an ad ran for Bonnaroo’s new “Funkiest Dancer” contest. Make a routine, submit it and you might be picked to work with a professional choreographer and perform on the main stage this June! More details are available at funkiestdancer.com. Taking song titles and lyrics for spontaneous made up songs tonight !!! Come on!! Be freaky!! …to announce the 2014 Bonnaroo line-up! Jack White is confirmed to perform at @Bonnaroo in Manchester, TN on June 12 – 15. Tickets go on sale Saturday, February 22 at 12pm ET. Among the 130-something other acts trekking to Bonnaroo’s 13 stages this year are The Flaming Lips, Neutral Milk Hotel, Nick Cave & The Bad Seeds, Grouplove, Dr.Dog, Broken Bells, Ty Segall, White Denim, Vampire Weekend, Goat, Andrew Bird & the Hands of Glory, Washed Out, Cake, Warpaint, Phosphorescent, Drive-By Truckers, The Avett Brothers, Phoenix, Arctic Monkeys, Damon Albarn, Poliça, ZZ Ward, First Aid Kit, Okkervil River, Cloud Nothings, Real Estate, Cass McCombs, Fitz and The Tantrums, Janelle Monáe, Lauryn Hill, Amos Lee, CHVRCHES, Cage The Elephant, The Head and the Heart, Tedeschi Trucks Band, Umphrey’s McGee, Slightly Stoopid, Yonder Mountain String Band, John Butler Trio,The Wood Brothers and The Master Musicians of Jajouka led by Bachir Attar, with special guests Billy Martin, Marc Ribot, DJ Logic and Shazad Ismaily. Four acts that will receive more unanimously welcoming returns are Vampire Weekend, Phoenix, The Flaming Lips and The Avett Brothers. Vampire Weekend has only played Bonnaroo once before, way back in 2008, the Thursday night before most attendees arrived (though drummer Chris Tomson – aka the member known in jamband circles for repeatedly donning a Phish T – was in the audience of the inaugural Bonnaroo in 2002). Phoenix on the other hand played a career changing set in 2009 and distinguished themselves as one of the few bands to play Bonnaroo consecutive years when they returned in 2010 as global stars. Their latter set – one of the most packed in Which Stage history – closed the weekend for many fans (it was an oft repeated complaint at the time that Phoenix should have been 2010’s official Sunday headliner, not Dave Matthews Band). 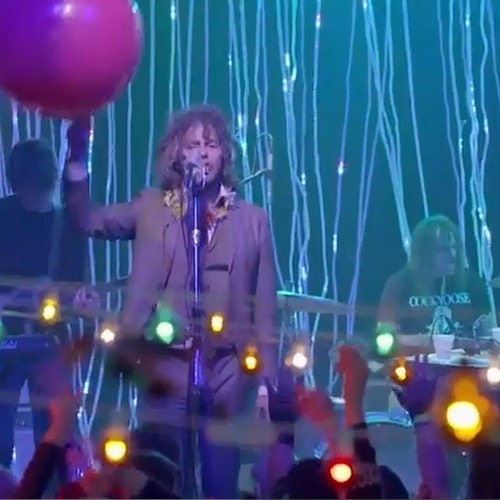 Likewise The Flaming Lips have cited their 2003 appearance as a career-changer. They returned to play a late Friday night set in 2007 as a fixture on the festival circuit. They returned again in 2010 for two Friday night sets, the second covering Dark Side of the Moon in its entirety with Stardeath and White Dwarfs. It’s The Avett Brothers however that have grown the most as Bonnaroo performers – making their way from a café space in 2006 to The Other Tent in 2008, the Which Stage in 2010 and the What Stage in 2012. Tickets go on sale Saturday, February 22nd at noon at bonnaroo.com. Keep track of all the most anticipated fests – including dates, featured artists, locations and links to buy tickets – with The Future Heart Music Festival Guide. I have read so many articles or reviews about the blogger lovers but this paragraph is genuinely a good post, keep it up.